Deciduous tree, up to 40m in height, native to Europe. Leaves with smooth hairs on both sides, lime-green. 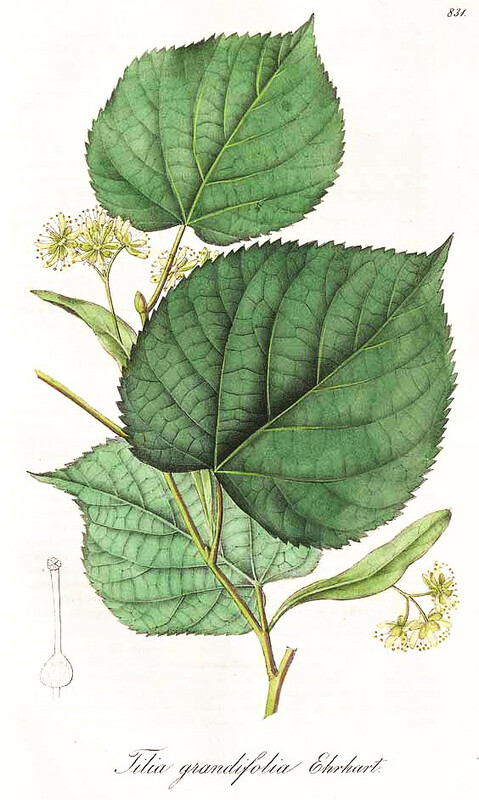 Tea from the dried flowers of Tilia cordata and Tilia platyphyllos is used traditionally as diaphoretic. 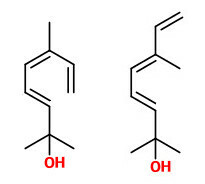 The highly sensitive 2,6-dimethyl-3(E),5(Z),7-octatriene-2-ol and its 5(E) isomer (natural ratio 1:10, sweet floral odor) are main constituents present only in the headspace and not in extracts of the flowers of T.platyphyllos (and major constituents in T.cordata).